A day walking the community of Bwindi is a day well spent. Available for me are a luxurious room; abundant and well prepared food; services of maid, cook, laundress, masseuse, and room service. No request is too small, no wish is denied. Meanwhile, outside my door are people with few if any of these amenities. It is a humbling experience. 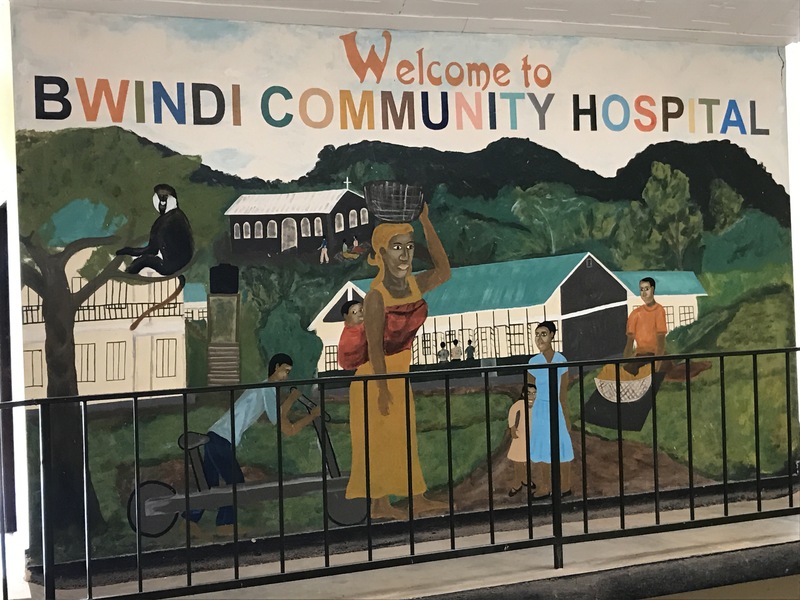 Bwindi Community Hospital was established in 2003 by Dr. Scott and Carol Kellermann. Beginning under a tree as an educational and health services outreach clinic. 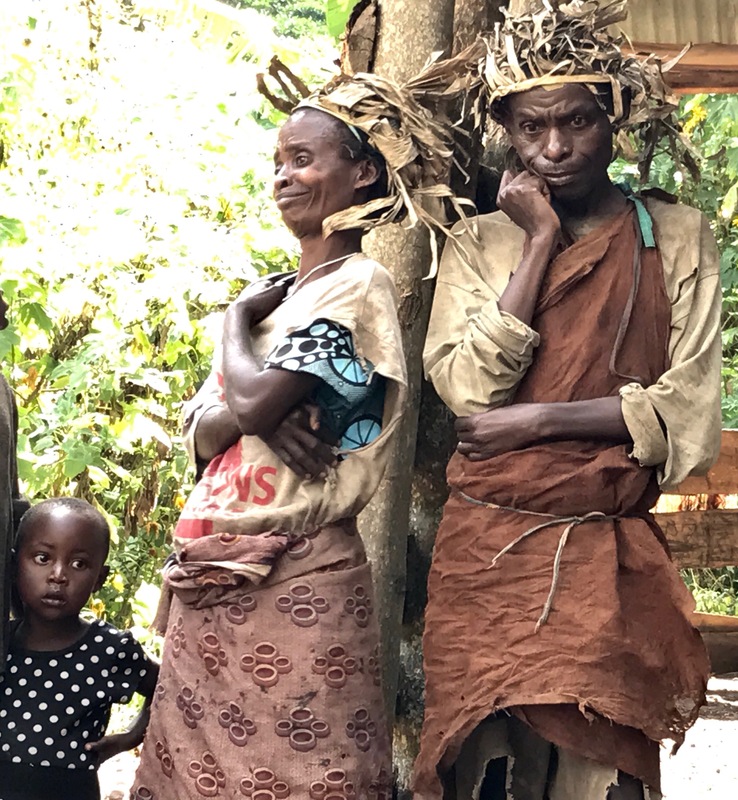 Their original goal was to help the Batwa pygmies who were displaced from their homes in the Inpenetrable Forest when it became a National Park in 1991. 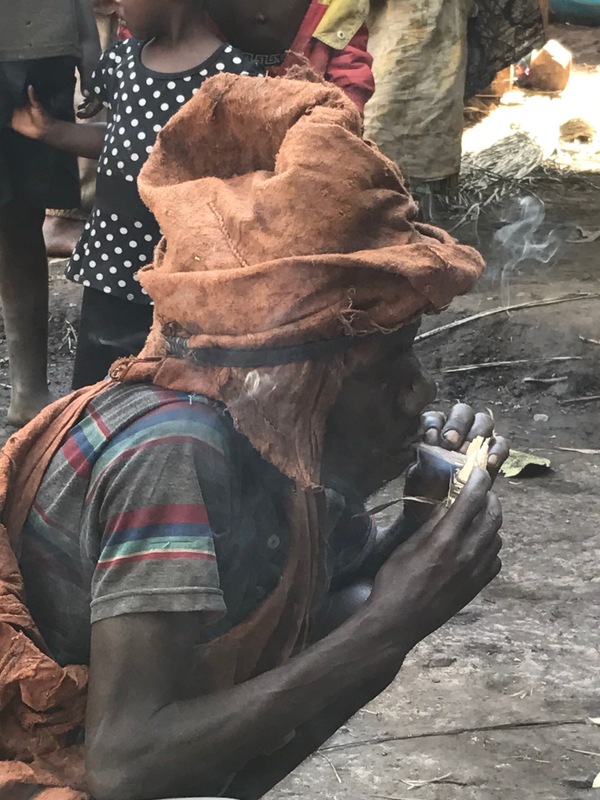 The Batwa were living in extreme poverty with many health issues and no health care. While the hospital was started particularly to help the Batwa, it quickly found itself treating all the people living in the area. Currently, the hospital serves the population in 3 sub-counties of Kayonza, Mpungu and Kanyantorogo in Kanungu District and today serves over 100,000 members of this extended community. There are few other decent health services in this remote area and people sometimes walk for more than a day to get to the Hospital. Most of the families in the Bwindi community cannot afford medical care and few can pay even a dollar a day for health insurance. Thus, the goal of Bwindi’s eQuality Health Care is to insure all people have access to quality health care regardless of their financial means (they currently are reaching 37% of intended population). Traditional funerals are very expensive in this culture. When a community member dies, everyone is expected to attend the funeral and the family of the deceased must feed them. Hundreds may attend. Thus, eQuality Health Care assists in the formation of burial networks that help with expenses. Small subsidies are requested for services so families do invest in their care so to avoid waste and taking advantage of the system. It works on a community group basis that when Group 60% buy insurance then everyone is covered – not just the rich. A community helping each other: an Affordable Care Act in Uganda! The hospital offers a variety of health services from family planning to surgical procedures. A surgical theater was added on 2008. The hospital conducts an effective community outreach program to educate and assist. Services include limited eye and dental care, HIV/AIDS and TB testing and education, family planning and prenatal care, birthing and post delivery care. To help families understand the importance of nutrition, not only does the hospital staff work with the adults but they maintain a garden with which they can demonstrate nutritional foods. A successful nursing school is sponsored by the hospital. There are many staff who daily go into the communities in order to know their populace, communicate with them, and encourage good health practices. The hospital staff works tirelessly is and their dedication and efforts are making a difference in this very poor region of Uganda. Their work is admirable and almost entirely funded via donations (annual expenses about 180,000$). I was happy to read that the US is funding services from a fridge for their lab and blood bank to an ambulance, computers, a library, surgery program and cryotherapy machine for women’s testing. In the US, to make a tax deduction go to www.KellermannFoundation.org. Ride 4 a Woman was founded in 2009 by Evelyn and Denis. It’s purpose was to empower woman and provide skills training. This local community project is reaching over 300 families. Skills like sewing, basket weaving, financial skills, modern agriculture methods, baking and bike mechanics are taught. Also, low interest small loans are provided for women to start their own businesses. The endeavor also sponsors children whose families are too poor to pay for their schooling and a safe water project. Ride 4 a Woman is supported by the sale of the womens’ beautiful crafts and by donations. On the grounds is a domestic violence hostel both for use by community and visitors. 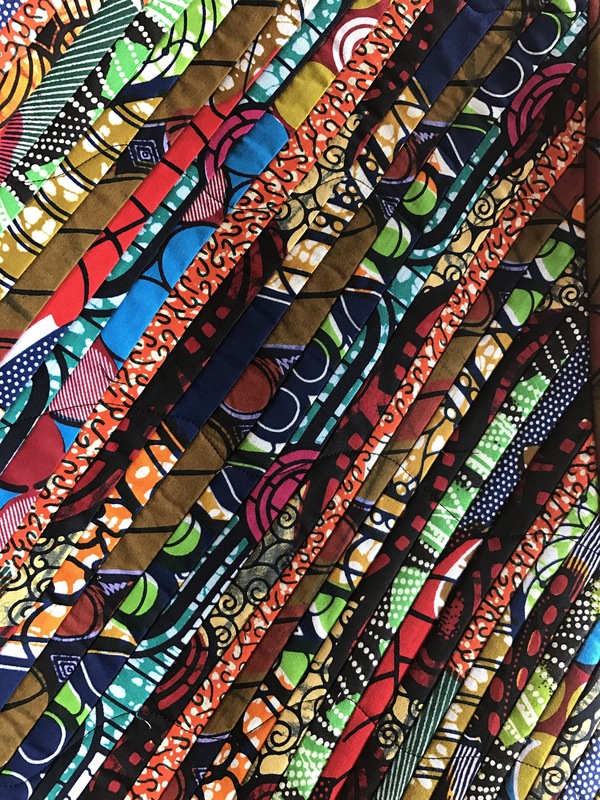 It is quite comfortable and for someone interested in learning crafts or in practicing their quilting skills, this would be an ideal accomodation. And added treat is the traditional songs and dance which the women perform for visitors. To make a tax deduction to this worthy cause, go to www.ride4awoman.org. In the afternoon I walked through the local village. Demonstrators were given about tea and coffee growing and the making of bricks, gin and banana bear. The ‘canoes’ turned out to be used not for water but for the mashing of the banana beer. Many men were sitting around the ‘cafes’ playing cards and gambling. The women were working. We are told they don’t drink like the men because they have too much work to do. This statement is always said by a man with a straight face. We then climbed a mud and rock track into the trees and meet a group of Batwa pygmies. Out of the population of 100,000 people in the Bwindi area, around 800 are Batwa. Batwa pygmies inhabited the Bwindi Impenetrable Forest for thousands of years, but because of efforts to protect endangered mountain gorillas, the land was declared a National Park and the indigenous Batwa were forced to move in 1992. The Batwa are hunter and gatherers and this disruption of their forest life was devastating to the tribes. Since they had no title to land, they were given no compensation. There are about 5047 Batwa in Uganda, 1200 living around Bwindi. The Batwa were known as “The Keepers of the Forest.” Small-statured, they were referred to as pygmies. They survived by hunting small game using arrows or nets and gathering plants and fruit in the rain forest. They lived in huts constructed of leaves and branches, moving frequently in search of food. The Batwa lived in harmony with the mountain gorillas. Their life, no matter how primitive or difficult, came to an abrupt end by no fault of the Batwa. Many Batwa died during the early years of exile, and the tribe’s very existence was severely threatened. In 2001, American medical missionaries Dr. Scott and Carol Kellermann dedicated themselves to serving the Batwa and established the Bwindi Community Hospital, as noted above. The small group we visit today live in a poverty that is hard to imagine. Ragged and dirty, it appears the only thing changed about their primitive life is location. Instead of the freedom and beauty of the Impenetrable Forest, now they live up a muddy and remote track, isolated from the community. They live as squatters and experienced little respect for their rights or traditions from the government nor the community. The extreme destitution and loss of their culture is depressing to behold. The group demonstrates some skills: a dance, a song, bow and arrow, and the building of their huts. But the Batwa’s primary achievement is learning to beg and banging their drums each time someone puts a donation into their pot. The expressions, especially on the faces of the men, is one of resentment. I am told much of our money, all given to the men, may go to drink. Their lives now consists of providing cheap manual labor, prostitution and stealing for survival. Many of the women are attempting to flee. It appears to be a culture doomed to extinction. We have experienced both the good, bad and the ugly in the Bwindi community. I will remember my visit to the Rushegura troop of mountain gorillas and the wonderful accomplishments being achieved by the community hospital and Ride 4 a Woman. But I will also not easily forget the sadness I felt over the endangered life of the Batwa of Bwindi.